A unique mosque that is a mix of Arabic/local style with a touch of modernity. It accommodates up to 1,800 worshipers in a total built up area of above 1,900 meter square. 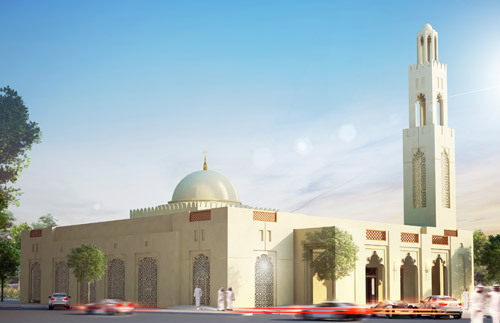 This mosque is set to be located in Al Barsha, Dubai.